Blank Rectangle Belt Buckles, so that you can design your own buckles are flat. 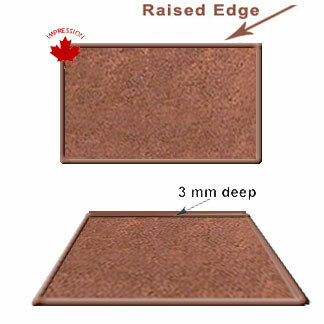 The flat border edge is raised with a 3 mm interior depth. These attractive and durable base metal belt buckles are an excellent product to enable you to personally create a belt buckle using your own design and artwork. The face of the buckle is textured to facilitate enhancement. The buckles are available in an Oval, Round or a Rectangular shape and can be finished in most platings and the lip around the outside of the buckle is manufactured to a 3mm depth. If you has approved your final artwork and paper work has been completed today(Apr 22, 2019), the estimated shipping date will be: May 29, 2019.